The Cathedrals Express near Honeybourne in 1963. LNER Gresley A3 on the Northumbrian coast in the 1930's. Deltic diesel passes Durham Cathedral. The Great Western Railway main line. 'Isambard Kingdom Brunel' with an express for Plymouth. 'Donovan' on the East Coast main line in the 50's. Dawn at Tamworth in 1963. Totnes Castle at Dawlish Warren. 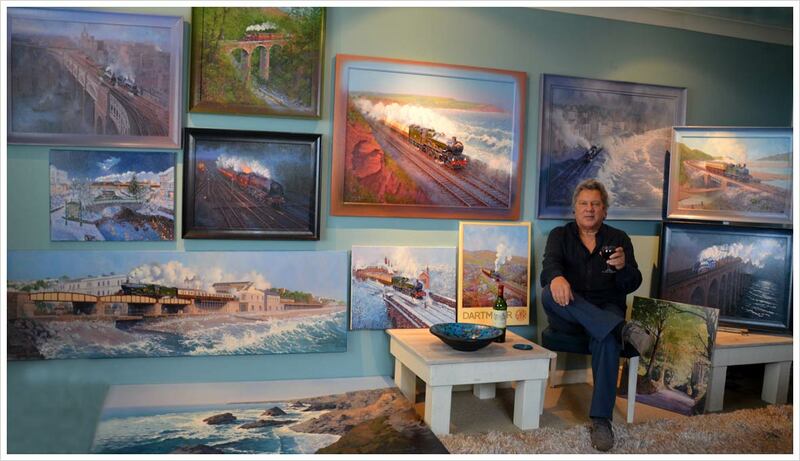 His favourite subjects are railways and landscapes. No.46227 takes water at Dillicar whilst heading a Glasgow bound express. 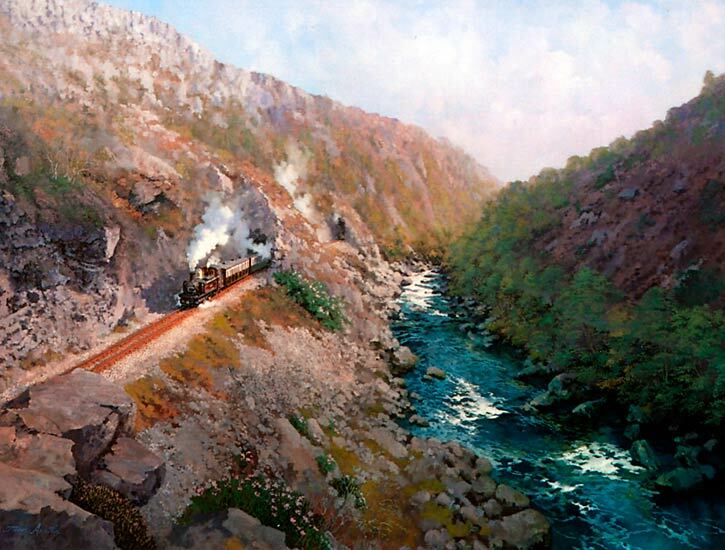 The Welsh Highland Railway narrow gauge line passes through the tunnels on this scenic route. 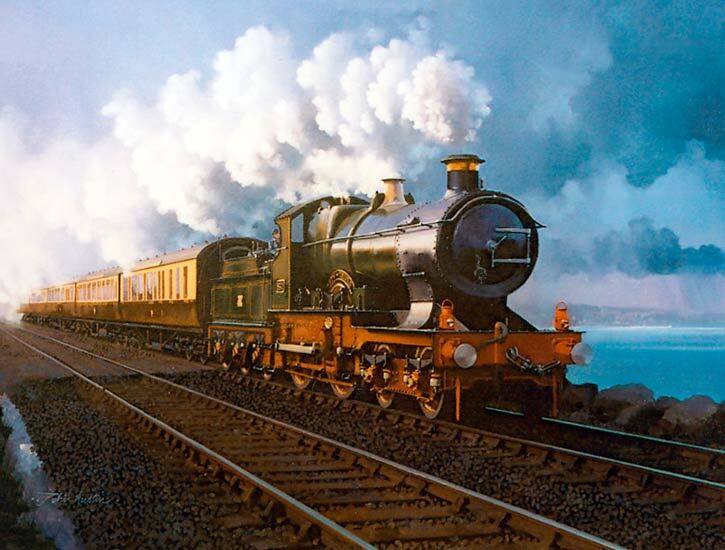 GWR No.3440 'City of Truro' heading towards Teigmouth on the Devon coast in the 1920's. 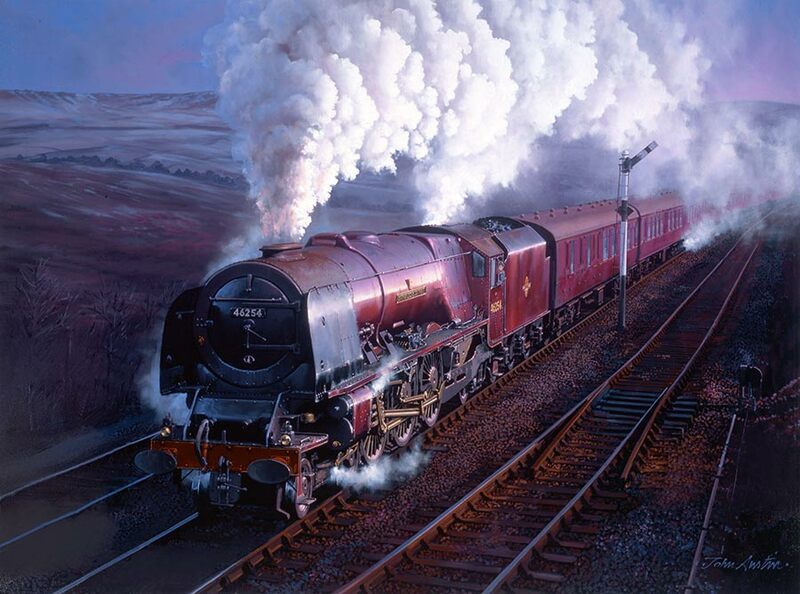 Stanier pacific 'City of Stoke-on-Trent' crests the summit of Beattock Bank. c1963. 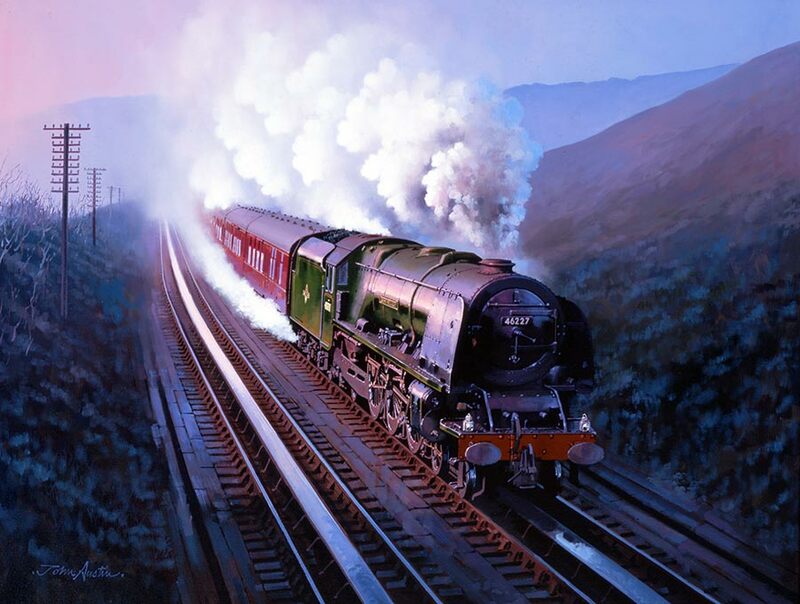 After a diversity of occupations that included creative lighting designer and pub landlord, changing circumstances gave John the opportunity to realise a lifelong ambition to become an artist specialising in the depiction of the steam railway. A move to a cold 300 year old house on the banks of the River Severn at Bridgnorth, close to the Severn Valley Railway, provided a perfect inspirational environment. More recently, John has moved to Dawlish on the south Devon coast, here the main railway line from Paddington to Plymouth and beyond runs along the sea wall, providing much inspiration for his more recent works. A large canvas depicting SR Pacific Taw Valley painted on site in December 1987 was displayed in The Railwayman's Arms, at Bridgnorth Station, attracting much criticism by Severn Railway staff and volunteers. It became painfully obvious that a greater knowledge of the subject would be required so John started working as a volunteer. All images copyright © John Austin FGRA.